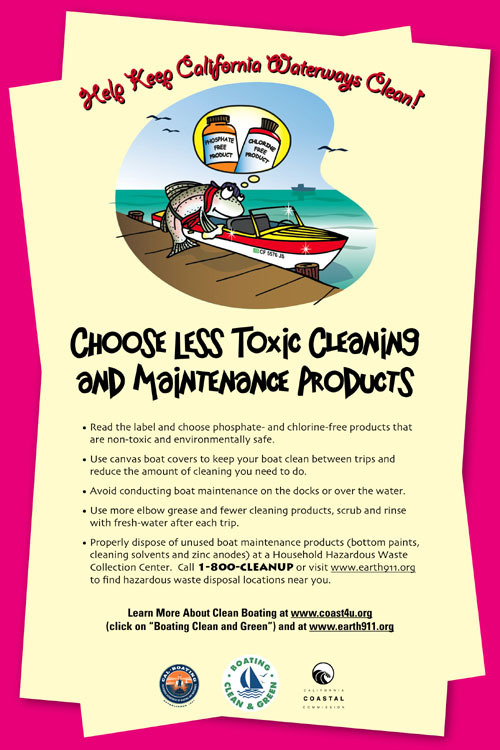 The following educational materials and reports comprise research conducted through the Boating Clan and Green Program. 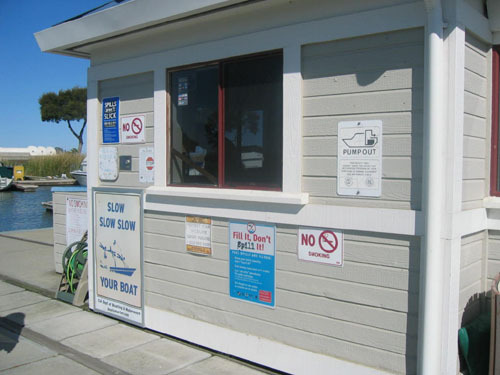 2007-2009 California Boater Survey Final Report – A statewide examination of boating habits, environmental awareness and overall outreach and education program evaluation. 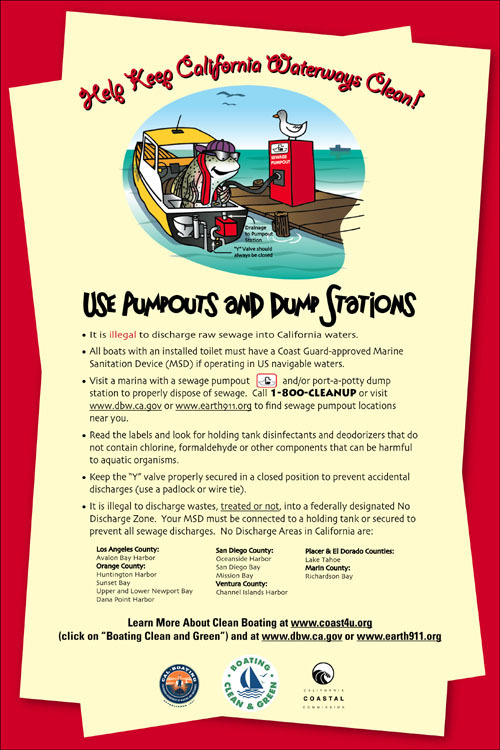 This report presents findings of the boating education and outreach efforts conducted from 2007 to 2009 throughout California by the California Division of Boating and Waterways and California Coastal Commission’s Boating Clean and Green Program (BCGP), Santa Monica Bay Restoration Foundation and Keep the Delta Clean Program. 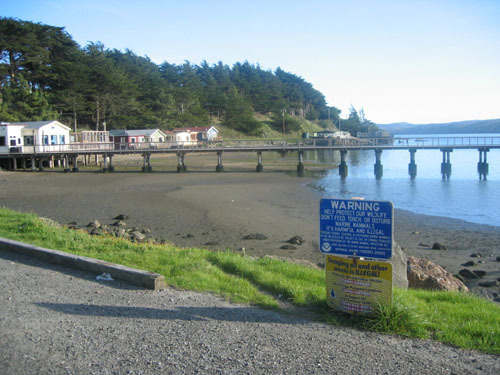 Between October 2007 and October 2009, project partners conducted a statewide survey of boaters about their attitudes, opinions and knowledge of various issues related to boating. A total of 5,735 surveys were administered. 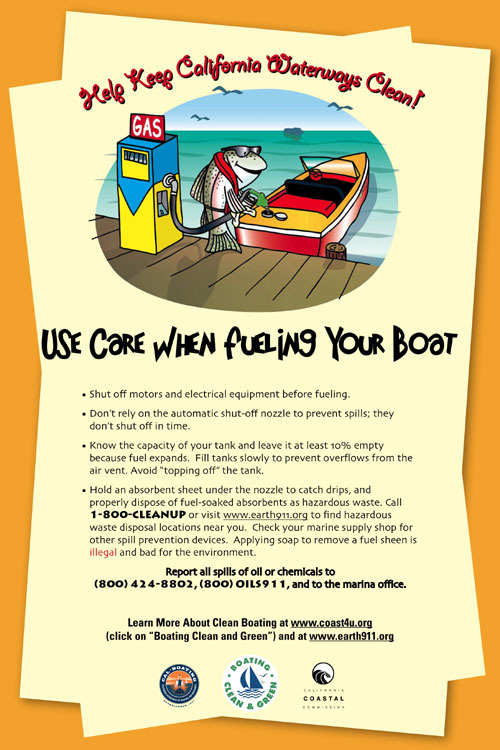 The Statewide Boater Survey would not have been possible without the generous support and assistance of volunteer Dockwalkers and many organizations throughout the State. 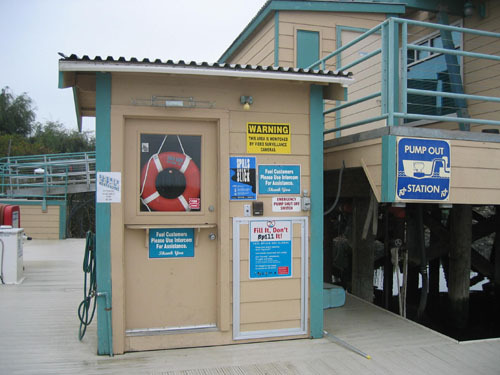 Funding for this report was provided by the State Water Resources Control Board, the California Division of Boating and Waterways, and a grant from the Clean Vessel Act Program. 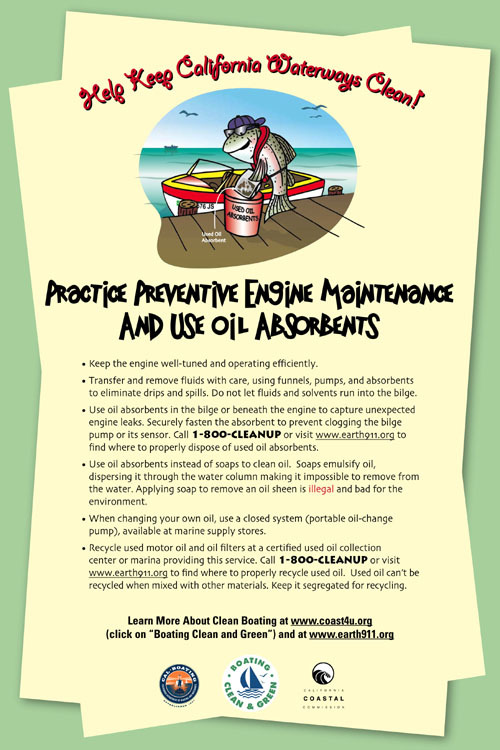 This information will help you develop your own educational resources (such as maps or charts) to help boaters access environmental services for boaters. 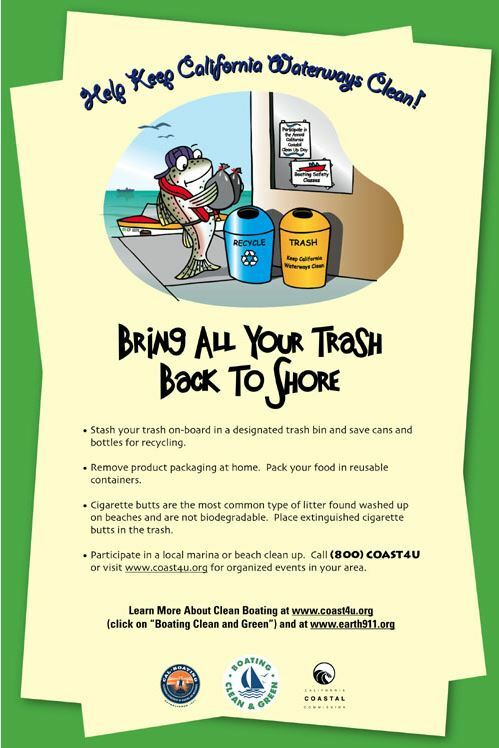 Contact Vivian Matuk to get the relevant Excel or GIS shape files.